If you get the chance to design your own home, one thing you might desire is for it to it feel spacious, bright and airy. Passive lighting is the principle of channelling daylight into a home naturally, and having architectural features that emphasise this is a great way to accomplish a light, airy feeling. There is a large number of benefits to having a well-lit home, aside from the immediate comfort it brings. For instance, an article from Architectural Lighting draws on research conducted by the Lighting Research Centre in New York, and says that people in daylit environments have increased productivity, and are mentally and visually stimulated, which helps to regulate circadian rhythms. Furthermore, having plenty of natural light flowing in is a great way to prevent excessive dampness, which helps to stop mould and bacteria from growing. A simple but effective way of making your home feel brighter is to simply have your walls painted in lighter colours. As the Federal Department of Industry, Innovation and Science notes, this will allow strong, direct sunlight to bounce off the walls and be distributed more evenly. When you've moved into your newly-built home, also think about where you can hang large mirrors. This will help to reflect and spread light around, while also creating an illusion of spaciousness. 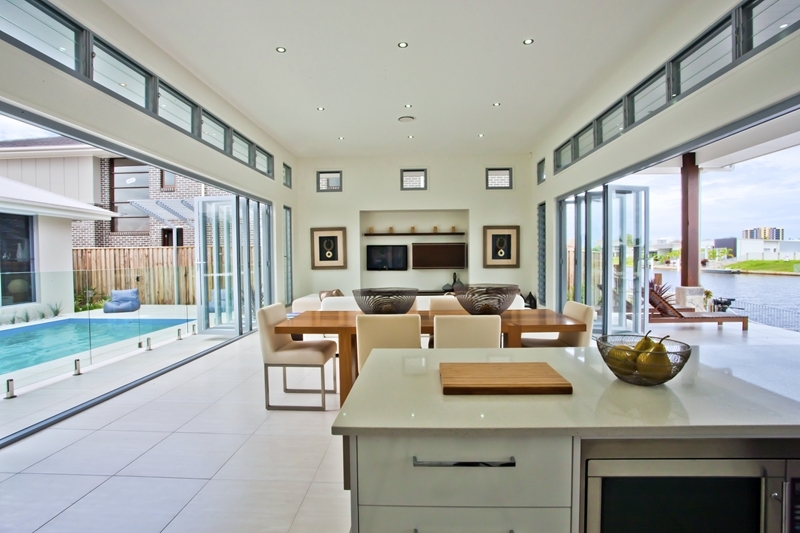 When speaking with your home designers, why not discuss incorporating full, floor-to-ceiling windows. Typically, the main point of entry for daylight to enter into a room or space is through the windows. Having the windows extend to the top of the ceiling will allow as much light in as possible, while adding a touch of elegance and style. HelpGuide.org also mentions that exposure to natural light and being able to see green areas like lawns and trees can help add a sense of calm and bring the outdoors indoors. Having large windows and bright walls is the best way to make a home feel spacious. Are there rooms in your home design that won't really accommodate large windows due to privacy demands? Why not consider having skylights? Skylights are essential windows attached to the ceiling of a home, allowing daylight to flow into the home from above. In addition, they are usually set at an angle, which will help to disperse light while avoiding the overheating that comes with concentrated shafts of direct sunlight. Being less dependent on electricity and utilising natural light can also pay off to reduced living expenses. The Cost of Living Index by Expatistan shows that the average utility bill for a two-person flat is $207 per month. By incorporating these passive lighting solutions into your home design, this figure might just be significantly lower. These few design ideas can assist to bring in more natural light into your new home, providing an illusion of more space while saving on electricity costs.